If you are looking to enhance your percussion rig or find a place to check out the latest gear N Stuff Music is the place to shop. 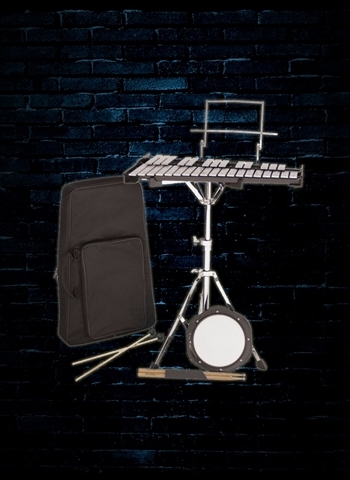 Though we may not have all orchestral percussion we have a huge variety of percussion instruments for drum sets, auxiliary percussion, and an assortment of other situations that will surely have what you need for your rig. 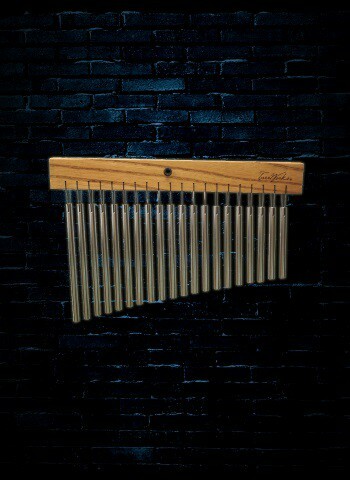 Chimes are one of the percussion instruments that will surely enhance the capabilities of your rig as well as provide a great shimmer for your sound. 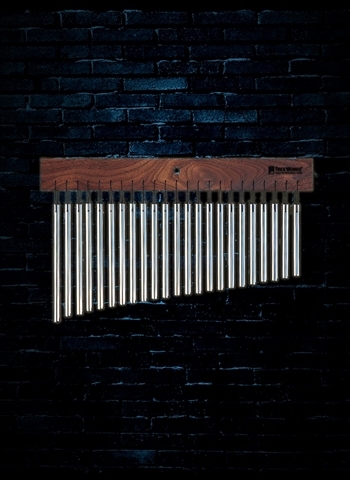 For a great selection of chimes and other percussion gear contact us today at N Stuff Music. 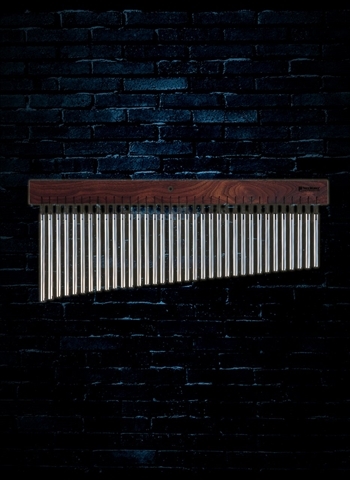 Chimes are essentially just pitched tubes that when struck with a mallet chime together in a great shimmering effect that is perfect to accentuate ballads, acoustic songs, or any sort of extra touch you want to give to a piece of music. Here at N Stuff Music you will find that we carry a variety of Meinl and Treeworks chimes that vary in size. 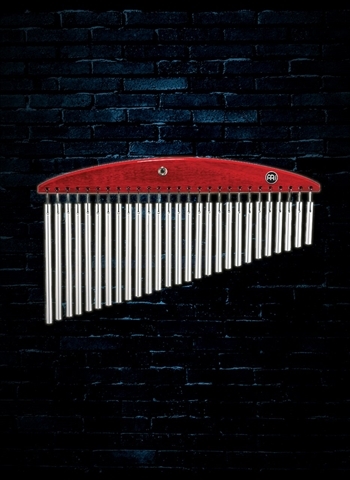 The Meinl Headliner Series Chimes are a great option for the percussionist who is looking for a quality set of chimes that will give them that beautiful shimmer sound but for an affordable price. One of the important things to pay attention to when selecting a set of chimes is what type of tie holds it to the wooden frame. In our inventory you won't find any sets that are too closely tied to the frame so you do not have to worry about accidently striking the frame or have the chime hit the frame. For the best possible strength in a set of chimes you may want to check out tempered, custom aluminum/titanium alloy bars. 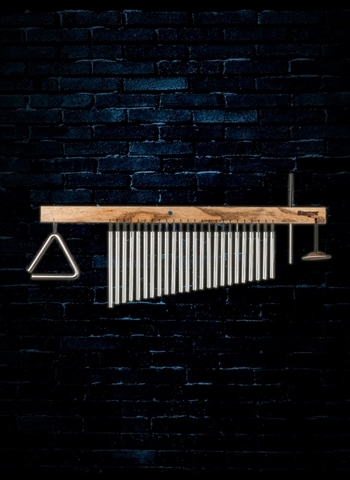 These chimes will withstand the rigor associated with being a gigging percussionist and you can be sure that you are getting the best possible longevity out of your chimes. The typical pitch range of a set of chimes is one and a half octaves. 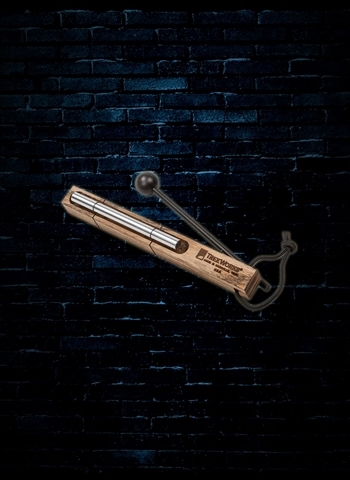 This allows you to know where you might want to strike or drag the chimes at if you don't need the full range to achieve your desired effect. 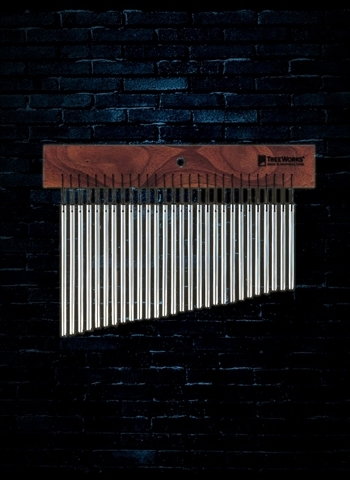 If you are looking for a set of chimes in combination with other percussion sounds as well you may be interested in the Multi-Tree Classic chime from TreeWorks. 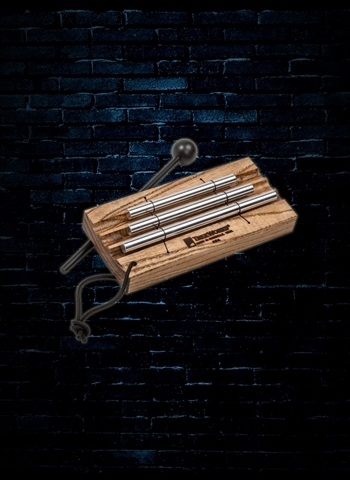 This chime also features a 4-inch Professional Triangle on the frame as well as a finger cymbal made of sand-cast bronze to provide an assortment of different percussion sound all on one unit. 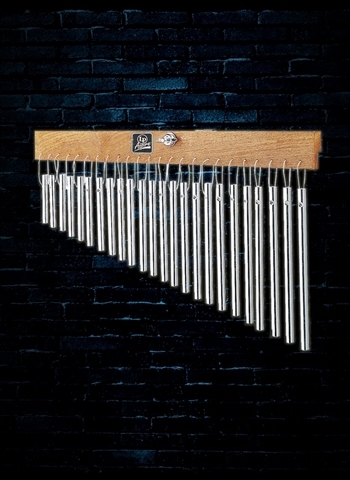 If you are looking to test out the chimes that we have available in stock just come down to N Stuff Music and let us know what you'd like to try out and we will gladly get you set up and demoing so you can find out which type of chime best suits your needs. 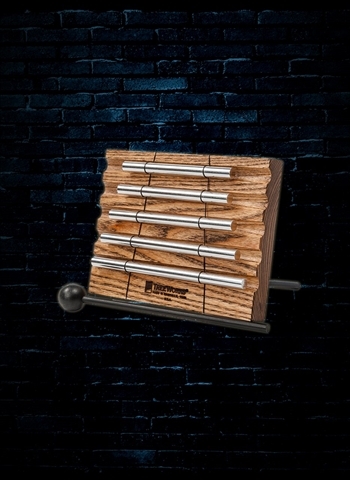 For the best selection in chimes and various auxiliary percussion gear visit us here at N Stuff Music and we will gladly guide you in the right direction to satisfy your percussion needs.